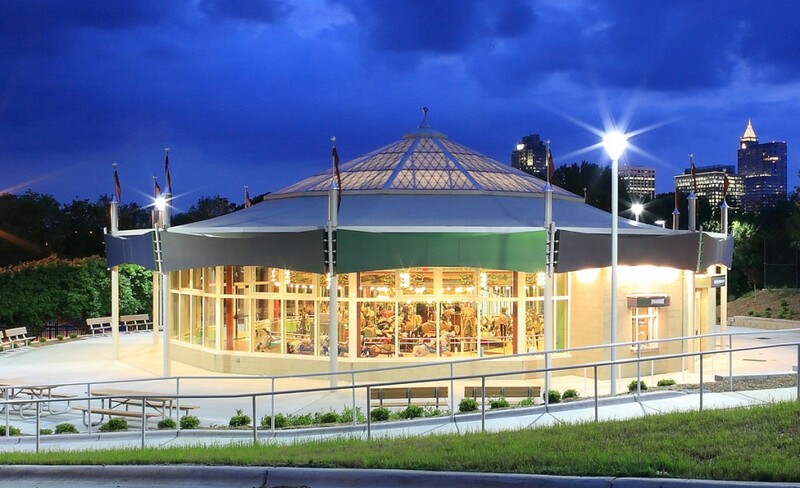 In 1937, the City of Raleigh purchased the ca. 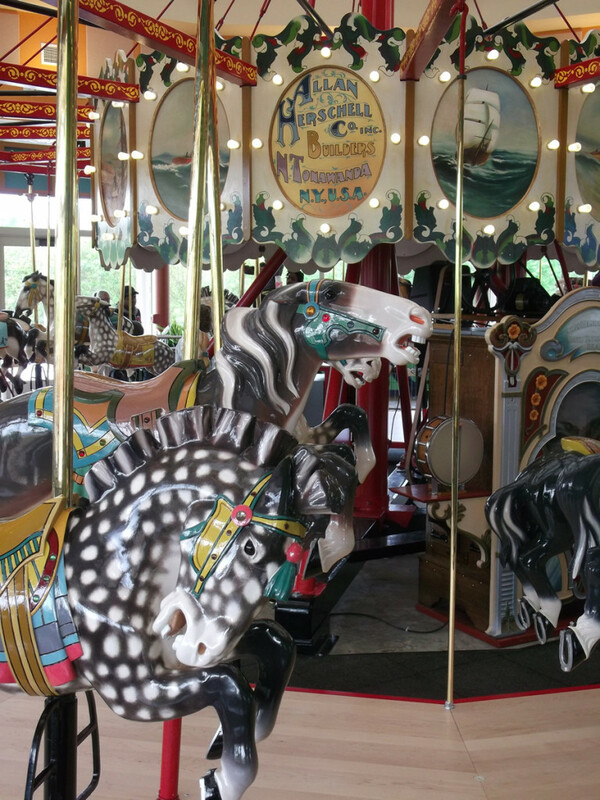 1923 Allan Herschell carousel and installed it in a tent at Chavis Park. 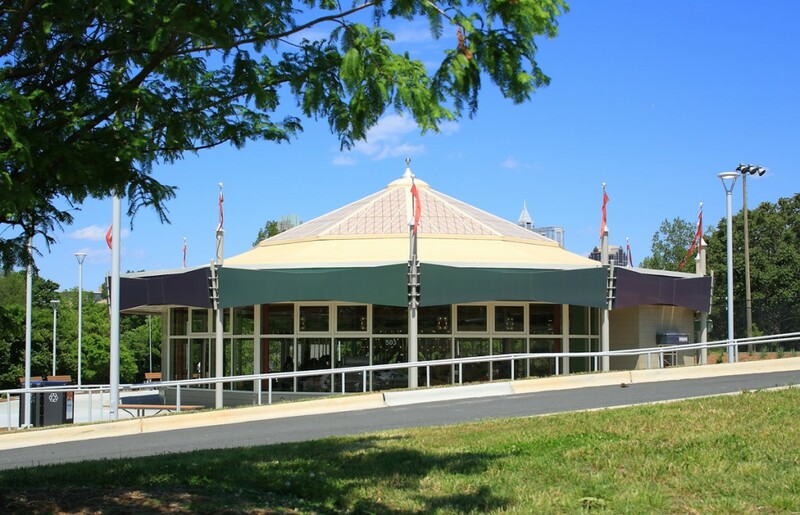 Later, a permanent carousel house was constructed, followed by a 1982 restoration of the carousel machine. 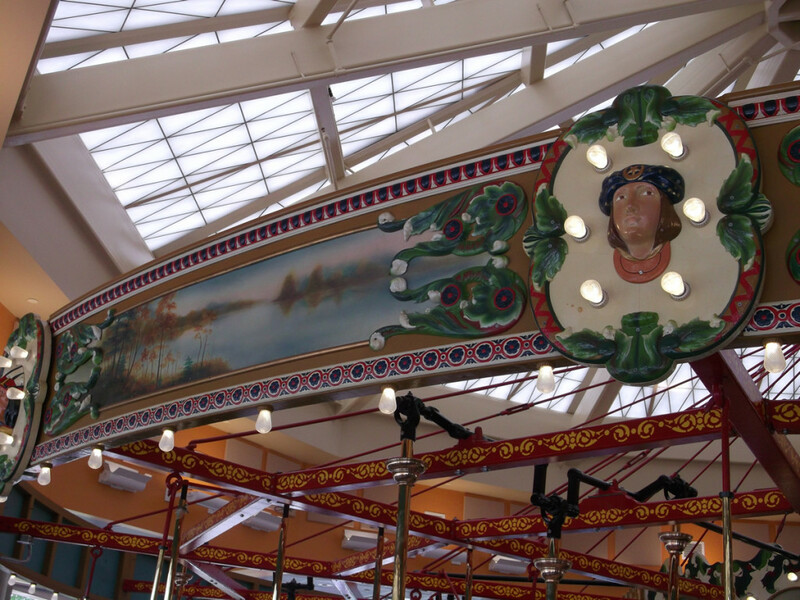 Subsequently, a decision was made to relocate the carousel to a new building that would provide both a more appropriate environment for the protection of the machine and the riders and which would ensure a pleasant riding experience. 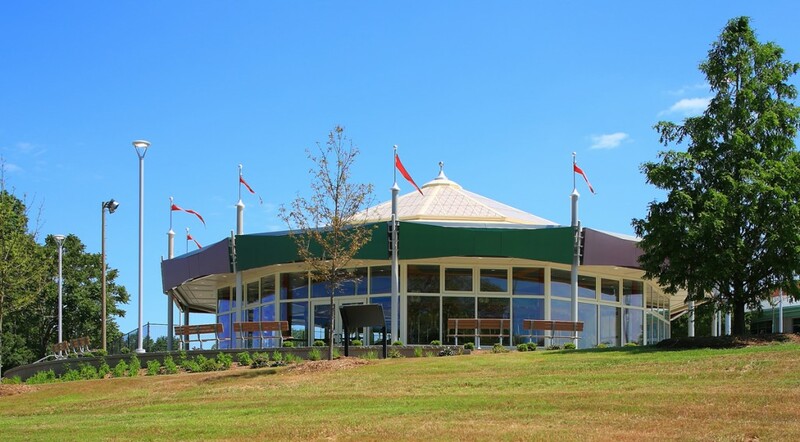 In keeping with the Chavis Park machine’s origins as a traveling carousel, HagerSmith produced a design that evokes the feel and appearance of a carnival tent. 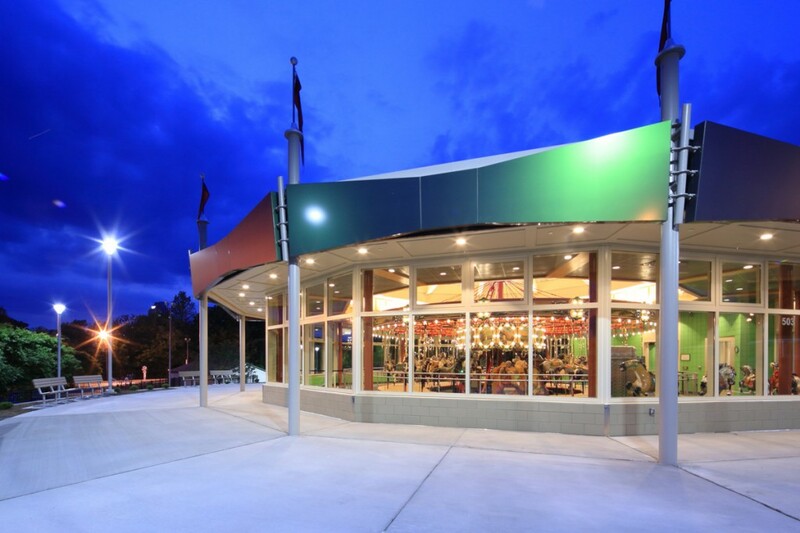 The multi-sided building has large areas of high-performance glass and a roof that sports a translucent insulated panel dome. 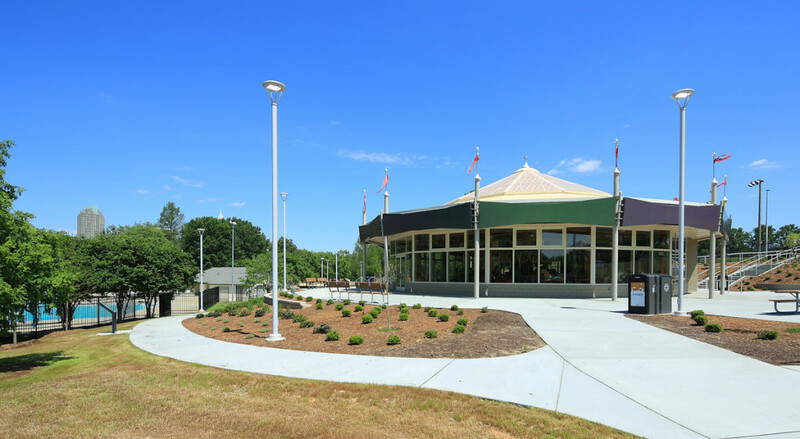 Overhanging eaves of the structural steel frame are supported by “tent” poles terminating in finials decorated with flying pennants. The aluminum composite bowtie panels that emulate stretched canvas have a prismatic finish that changes color with the viewing angle and lighting.